Disagreeing with assessments of a slowdown in the Chinese book market, the Beijing International Book Fair director says she’s seeing ‘real energy’ in the sector. 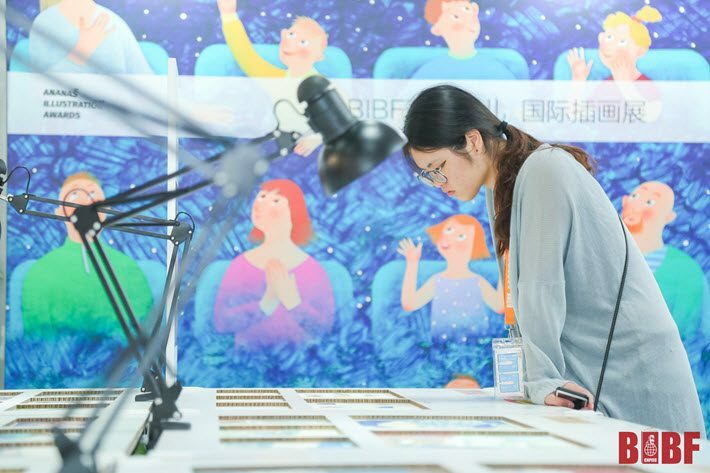 Having grown again this year—to an anticipated 25,000 publishers from 93 countries —the 25th Beijing International Book Fair (BIBF) is in full swing today (August 24) and headed into its big weekend of traditionally heavy public attendance. Publishing Perspectives has interviewed Liying Lin, the director of the Beijing Book Fair to her view of where things are today in China’s book market. Lin’s background includes studies at the University of Washington, the People’s University, and Heilongjiang University. In addition to her work as director of BIBF, she’s the managing director of China Publications ExpoInternational. And she’s vice president of the import/export company China National Publications Import and Export Group, which reports holding a 60-percent of the Chinese market. We begin by asking for a simple technical clarification on frequency: While the fair this year is celebrating its 25th iteration, it has in fact been in operation for 30 years. Publishing Perspectives: Have there been years in which the Beijing International Book Fair wasn’t staged? Liying Lin: You’re right; BIBF was, in fact, a biannual fair for the first few years of its existence. It soon became apparent that there was a need for a more frequent event to showcase new books and facilitate rights negotiation, and so in 2002, BIBF became an annual fixture in the publishing calendar. It is now Asia’s largest fair of its kind. Today of course, the industry is truly global and integrated in a way that we could never have envisaged even a few years ago. More recent developments such as audiobooks, ebooks, and the increasing integration of publishing with the film, media and licensing industries means that the need for BIBF as a communal forum and marketplace has never been greater. This year we are pleased to welcome so many exhibitors from almost 100 countries and regions, and we expect the fair to be busier than ever. PP: Can you give us an idea of what you feel makes this year’s BIBF distinctive? Is there any one element of the fair’s range of programming that you’re most excited about? LL: As you know, children’s publishing is the big growth area in China, so this year we decided to launch the Beijing International Children’s Book Fair to provide a focus for the sector. We’re also working in partnership with UBM, the leading trade fair organizers in the global licensing industry, and can now bring together publishers, IP owners, agents, consumer goods manufacturers, other licensed companies and retailers. This makes perfect sense, as the demand for children’s content is still growing rapidly in China, the fifth largest licensed market in the world. We also hosted a Children’s Publishing Forum on the eve of the fair, with speakers from Chinese and overseas publishers talking about the market, their experiences and case studies. We devoted half a day to licensing in particular, as this is where the interest and opportunities currently lie. By helping publishers understand licensing in China, we hope to encourage cross-sector negotiations. We also gave picture books a boost with a dedicated picture book exhibition to showcase some of the best talent from around the world. We know that publishers are keen to find high-quality content for their ‘early years’ books, so we wanted to support this fast-growing sector in the best way we could. You mentioned digital, and this too, is an important and exciting area for us. The integration of emerging digital technologies with traditional publishing has brought us new exhibitors keen to expand their markets. We were therefore pleased to welcome to our Digital Zone companies, which specialize in new media, artificial intelligence, big data and knowledge service as well as content production. Our exhibitor list this year includes some of the biggest names in their sectors such as Amazon Web Services, iReader, Tencent and Baidu. By offering an international cross-industry platform, we can promote true cooperation throughout the whole industrial chain. PP: How do you see the growth of rights trading in the context of the fair this year? LL: We are specifically supporting rights negotiation through our association with PubMatch once again and a dedicated rights center, which is specifically available for agents. Last year, we saw more than 5,000 contracts signed at BIBF and we fully expect contracts to exceed this number this year. Our advice on entering the Chinese market remains the same as ever; publishers should do their homework thoroughly. 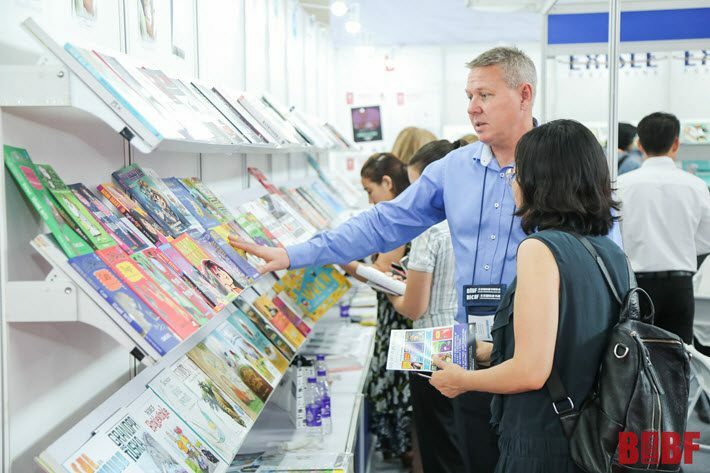 Come and visit BIBF; take advantage of the seminars and professional events that give newcomers an introduction to publishing in China; tour around bookshops in our tier-one and tier-two cities; and get to understand how the market works and how consumers think and behave. Understand too, the scale of the market, as you will need to make sure that your voice is heard above the crowd. Lastly it is vital to appreciate how consumers purchase books and merchandise; how they interact with brands and what they expect from them. It’s not as daunting as it sounds, though. Perhaps the greater challenge is for Chinese publishers wishing to export internationally, because of cultural barriers and a general lack of appreciation of Chinese content overseas. We strongly recommend that international publishers check out our original content as the quality has vastly improved in recent years and China has a great deal to offer. We need to convince publishers and readers of the merits of our fabulous domestic bestsellers. PP: How much of a factor do you think translation costs may be? LL: I can’t really give you a definitive answer as so much depends on both the languages and the genre involved. Finding an excellent translator for English and Chinese is increasingly straightforward, but it’s sometimes more challenging when faced with Chinese and some other languages. I’d say that translation costs are generally manageable but it’s important to find experts when dealing with specialist subjects—particularly in science and technology—but that’s no different from any other market. PP: We’ve published a monthly report on China bestsellers here at Publishing Perspectives now for more than a year, in association with Jiang Yanping’s OpenBook and Trajectory, led by James Bryant, in the United States. And one of the things we notice about China’s readers is that they seem to have such a healthy interest in classic titles as well as contemporary books. Do you find this to be reflected at BIBF in terms of what Chinese exhibitors put on display? And from your deep experience in the field, have you seen shifts in the consumer’s focus? LL: We always advise exhibitors to bring their backlist catalogue to take advantage of opportunities–particularly the current popularity of classics. We fully expect those “new old” titles to be much in evidence at BIBF this year, as publishers know how much Chinese readers love discovering Western literature. Jules Verne, Charlotte Bronte, and Henry David Thoreau are among many authors now being consumed avidly by new readers keen to expand their cultural knowledge. Couple this with the fact that some titles such as Jane Eyre are recommended by the ministry of education, plus a growing middle class, members of which have money in their pockets and ambitions for their children’s education—and you have the perfect mix for classic texts to prosper. But the focus is, of course, on contemporary titles. We’re increasingly seeing a fast turn-around and publication of big titles in China soon after their US or European launches. Popular science, history, business, and economics titles are huge sellers in China. Just to take one example: Steve Jobs (CITIC Press) has sold 2.8 million copies, with 670,000 copies sold in the first month alone. Other bestsellers have included Niall Ferguson on world history, Konrad Lorenz on popular science, Thomas Picketty’s Capital in the 21st Century and Peter Thiel’s Zero To One these are just a few that have proved hugely popular. PP: OpenBook’s perspective on the first half of the year—which we just published—is that there’s a certain slowdown in growth in the market detected in the first six months of 2018, although China remains the fastest-growing market in the world. From where you sit, how do you see the financial status of the industry in China today? Can you put your finger on particularly important challenges and strengths? LL: From our standpoint, we see no evidence of a slowdown—far from it. We’re seeing real energy in the sector and a hunger for new formats, new ideas and new content. This is particularly the case in the children’s market where demand is currently exceeding supply. The boom in the birthrate in the past few years—the result of the relaxation of the one-child policy—means that picture books and pre-school titles are very popular. This is a section of the market distinguished by real innovation and creativity, which we’re seeing through the launch of books integrated with apps; audiobooks and mobile reading; and new social channels that offer opportunities for both promotion and content distribution. In summary, these are rewarding times to be publishing in China, and we hope that visitors and observers from overseas will share our enthusiasm to play a part in this exciting market. This article first appeared in Publishing Perspectives. You may also be interested in Publishing Perspectives’ latest article on the China bestsellers. This can be accessed here. Porter Anderson is Editor-in-Chief of Publishing Perspectives. He is also co-owner and editor with Jane Friedman of The Hot Sheet, the newsletter for trade and indie authors. He formerly was Associate Editor for The FutureBook, at London’s The Bookseller. Anderson has also worked with CNN International, CNN.com, CNN USA, the Village Voice, the Dallas Times Herald, and other media. Previous Previous post: Calling all rights buyers – here are our picks for August!